Introduction: What is the Google Display Network? Google Display Network ads are banner ads on sites that have opted into serving ads for Google’s Display Network (GDN). You can see an example of this image highlighting some Google Display ads on the right in yellow. You’ve probably seen these banners while perusing your favorite sites, many of which have opted into Google’s lucrative network. Google’s display network spans over two million sites that reach over 90 percent of the global network. What Is The Best Way To Use The Google Display Network? Remarketing. The most important thing for any advertiser or PPC management company to understand is that users on the Google Display Network encounter your ads passively as they peruse the web at their leisure. They aren’t seeking out your business with words of intent like they are on the Google Search Network. Thus, the first step in advertising to them is to cater to this type of interaction. Provide something of value to your audience instead of asking them to do something. The quickest and most reliable way to participate in the Google Display Network is through remarketing, because you can target based on what you already know about the user. He or she has already been to your website and you know what they did while on your website (because you are a smart digital marketer that tracks your website data through platforms like Google Analytics). This is why it is crucial to understand your customer’s digital sales path. Which interactions lead to a conversion and in which order? Hopefully, then, you’ve got Google Analytics up and running, and you’re analyzing user behavior while grouping users into audiences that you can retarget with the appropriate offers at the proper point in the sales funnel. For example, if you know that a user who has read your blog article about machine learning converts 100% of the time as long as they’ve also been shown your demo video, then you can group all users who haven’t converted but who have read your blog article into a retargeting list to be shown your demo video. Theoretically, most or all of these users should convert based on historical data. Some marketing cycles consist of many more steps along the way, but the idea is to understand the entire funnel and inject the appropriate touchpoints with the right offer at the right time. Easy peasy, right? With remarketing, your ads can show up anywhere as long as the user is part of your retargeting list. Since this is a high level of qualification, the site matters less. If you’re running ads to prospect new followers of your brand, you’ll want to target specific sites that relate with your business, industry, and user – which we’ll get to in a bit. Finally, don’t take remarketing too far. There are diminishing returns on overlapping campaigns that could be targeting users that were going to convert anyway. Many advertisers get caught up in the low CPAs that remarketing display campaigns can produce, and end up duplicating the efforts of remarketing. 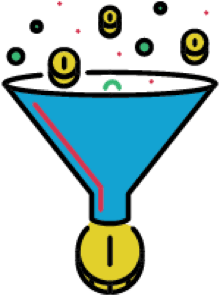 While the CPAs and conversions look great, you probably aren’t maximizing conversions throughout your entire funnel if you’re just bombarding users at the end of your funnel. Outside of remarketing, let’s look at a few ways Google allows you to target on the Display Network. 1. Keywords. These keywords are not the same as the Search Network in that users aren’t typing out their intent. The keywords are contextually targeted based on a website’s content. The idea is that if a user is on a website that contains the keywords you’re targeting, they’ll be more likely to be interested in your ad. The logic is there, but Google can match you up with endless websites that can waste ad dollars. How else can we target? 2. Topics. Topics are another way Google can help you target your audience, and there are even some subtopics that can help narrow down your audience. However, topics can still be a very broad way of targeting that places you on too many sites. Look at keyword and topic targeting like running broad match keywords on the Search Network. While you can hit a conversion every now and then, overall, you will probably be leaking ad spend by simply showing up too much. You can add topic and keyword exclusions just like you can add negative keywords to Search campaigns, and this also helps narrow down your audience. While remarketing campaigns already have a built in safety valve (users are already familiar with your brand, so the risk is low to impress them with an ad, especially if they haven’t converted yet), prospecting campaigns are a different beast. Any combination of keyword and topics can still put you on a ton of automatic placement sites, so you’ll need to monitor them, and add placement exclusions to weed out the worst performing websites to leak too much costs. This is no different than adding negative keywords to your Search Network campaigns, a tried and true strategy to lowering CPAs. However, this process can get time-consuming and can also whittle your audience down to nothing. Finding the right balance is an art, but it is also becoming more data-driven and automated as we will see later. 3. Combinations. Now we’re getting somewhere. You’ll want to get creative with targeting combinations. Try creative combinations to narrow down intent. For example certain keywords can have a variety of meanings, but if you combine them with a certain topic, then you can narrow an audience. 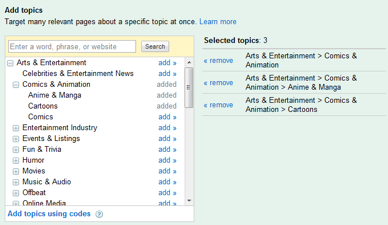 You can also combine keywords and topics with certain keyword and topic exclusions. 4. Affinity audiences, interests, and user behavior targeting. While keyword and topics are based on website content, affinity audiences focus on user behavior. Affinity audiences and interests are mainstays of Google Display targeting that have gotten more focused over time. Let’s take a look at a few of the more advanced user profiles Google has developed. In-market audiences. Originally just for Display campaigns, in-marketing audiences are users that have shown purchasing intent in certain areas. Google has expanded their availability to layer on top of Search campaigns now, but their value is reaching users closer to the buying stage of the marketing funnel and can be super valuable if you know the right offer to show. They might even be ready to convert at the end of your funnel. Custom intent audiences. With the rise of Facebook advertising and their detailed audience personas, Google is reaching within its data trove to match Facebook’s successful audience targeting with custom intent audiences. As their name implies, you can create your own custom audiences based on certain keywords and URLs that thematically define your audience. You can also let Google’s data determine the appropriate audience, often based on select phrases to determine the right fit. Google even allows you to hover over these distinct phrases to help you better understand the audience. Similar audiences. Originally an extension of remarketing, similar audiences were originally created from remarketing lists for search ads (RLSA). RLSA combined Search Network ads with remarketing lists to hyper-target users. Similar audiences took that user behavior data further by creating lists of users that mimicked the behavior of your remarketing lists. For example, if your users usually converted after searching a certain type of keyword, these types of users would be a part of a similar audience based on your remarketing list. Maybe a user with a certain demographic profile that searches a certain keyword matches up with your remarketing list. Similar audiences can be very powerful because they are built on the specific personas that have converted – a powerful attribute to go off of. These are the basics of Google Display targeting, and you can see how the various tactics and combination of tactics can create a bevy of users at the top of your funnel. Anyone can get started, even if they don’t have the resources of a design team for fancy banner ads. 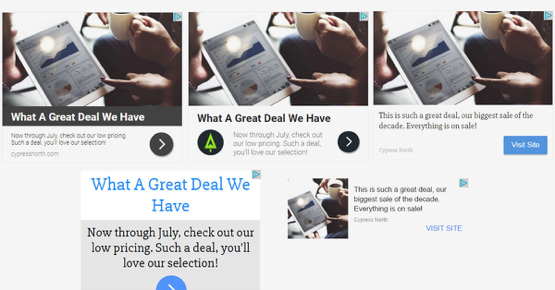 Google Display Network ads come in a variety of sizes. Again, without proper testing, you’ll never know which sizes on which placements can succeed, especially when you’re using remarketing. Testing all the different ad types and gathering data on the success of each is crucial to the long and grueling process of pay per click optimization. Text display ads are a thing! Consider it another ‘size’ to test. You can even run video ads on the Google Display Network as well! You can get a decent number of views that can cost the fraction of television advertising. If you can get these video ads on the right placements, they could be a boon to your digital marketing efforts. We’ll get into video ads on the display network in a bit, but they are something to consider for branding efforts especially if you already have a video. Google is always coming up with new ad types. There are even magazine ads available that allow a text ad to be displayed in a banner ad format if they happen to win an auction for a web space that’s typically reserved for display banner ads. However, the biggest development for ads on the Google Display Network has been responsive ads. Responsive ads allow you to just feed Google some ad copy and a logo, and they can spit out ads that will fit all the different types of ad inventory available. This is a basically a souped up version of Display Ad Builder, as these ads will adjust to fit all ad sizes including text, image, and native ads. If you need official approval for all branded assets, Google responsive ads will not be for you. Google can produce literally thousands of permutations and combinations of ad copy based on standard ad copy and image inputs from you. And you don’t even need to test all of these different versions of copy anymore to find out which ones work best; Google does that automatically for you. Google is clearly working hard to make it easier for you to run effective Display Network campaigns by eliminating the hassle of creating separate banner images for each of their inventory sizes. The results have been promising. Google’s efforts to automate and simplify digital marketing in general has given rise to more effective and easy-to-run campaigns, as we’ll see in a bit. For B2B users, educational content like e-books, whitepapers, webinars, comprehensive guides, and blog articles are all examples of free content that provides value to the user. What has worked in the past? If you do not know what works, then you’ll have to test the responsiveness to each offer optimize your display efforts towards the best performing offers. You can also tweak or develop new educational assets. If you understand your customer sales journey well, then you’ll know the next offer or asset to show to them to drive them seamlessly towards the end of your sales funnel. Think of other microconversions that happen before your ultimate conversion and find ways to incorporate those touchpoints into your customer’s sales journey. In addition to being able to target by placements, keywords, and topics – or any combination of those – there is a new metric that can help aid in campaigns that don’t require a click-through to be successful. View-through conversions, or impression-assisted conversions, are available with Google’s integration of the GDN with Google Analytics. If you are only measuring conversions from Google Display campaigns, you could be missing out on the value of users becoming aware of your campaign. There are now metrics to measure this awareness. If you’re monitoring the Multi-Channel Funnels report in Google Analytics, otherwise known as MCF reports, you can see where views of your display campaigns have assisted other media to convert users. 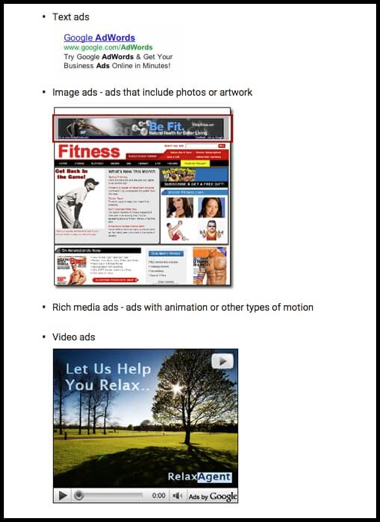 There are even options to consider video ad views. And you can customize your Google Analytics dimensions to determine whether a rich media video played 25%, 50%, 75% or 100%, and compare the effects that each play time had on the user’s conversion behavior. There’s even a special Display icon for the MCF reports so you can see the impact of these specific video views. 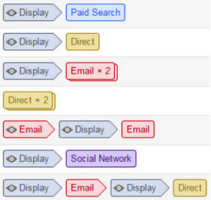 The bottom line is that unless you’re already doing some data and resource intensive conversion ‘lift’ tests on your Display Network’s impact, check out your Multi-Channel Attribution reports to identify assets and targeting with ad view-throughs that assisted with your conversions. Test out more campaigns to see if there’s a significant influx in your top-of-funnel users. Machine learning is all the rage these days, especially within digital advertising. And guess what digital advertising’s top dog (i.e. Google) has done recently with the notoriously complex game of Go. This Google project underlines the power of machine learning, and also Google’s intentions in developing machine learning products especially within digital advertising. Google’s various user behavior audiences are an example of this machine-learning trend, and if used properly, can lead to a boost in conversions – all with the help of Google’s machine learning division. They have so many data points on users. If testing is king, information is the emperor! 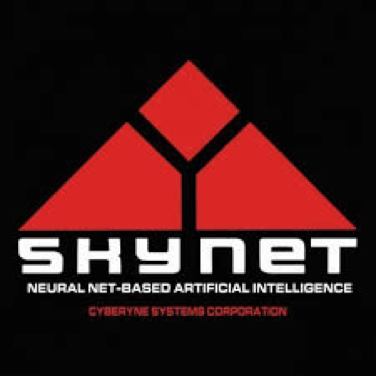 Similar audiences, as we have seen, are an example of machine learning. Google can recognize patterns in a group of users (your remarketing lists) and replicate the users that exhibit the same behaviors. 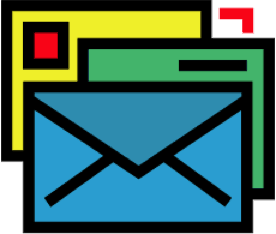 Responsive ads automate the ad creation process to suss out the most effective ads based on copy and images you input. Smart display campaigns are really the culmination of what Google has learned so far in terms of applying machine learning to digital marketing. They are probably a precursor to what’s to come, too. Smart display campaigns combine responsive ad technology with the user behavior generated lists culled from machine learning algorithms. Over time, your campaign is optimized based on what wins you conversions. · You need conversion tracking set up and at least 50 conversions on the GDN or 100 conversions on the Search network over the last 30 days. Smart display campaigns use a combination of remarketing topic, keyword, placement, in-market audiences, and similar audiences. That’s wild. Smart Display Campaigns is basically your personal digital marketing assistant robot that does your display marketing for you using buying personas (conversion data). They do what constant and tedious A/B tests take weeks and months to do: optimize incrementally from statistically significant data. This makes sense since Google has all of the data. They can figure that perfect mix with less experimentation, because they have tons of other data to play off the new information they continue getting from running your campaigns. What do smart campaigns mean for digital marketers? It is pretty crazy how little businesses might not need digital marketers in a decade or so. If you can just input buying personas of your successful conversions, maybe Google just spits out the perfect ads to users at the perfect time with little more than your brand attributes and offerings input. Actually, with Google Smart Display campaigns, you just need to input your website or a few assets, and Google will figure out some responsive ads that use your branding to produce tens of thousands of ad combinations to test. What Are The Drawbacks To Automated Smart Display Campaigns Built On Machine Learning? The drawbacks of Smart Display campaigns are typical of more automated solutions – less control and customization. If you really care about the design of your ads, this option isn’t for you. If you don’t have a team of designers and a marketing team that can quickly distill the most successful campaigns based on accurate attribution models using customer lifetime value, then Smart Display campaigns levels the playing field for you so you can get your little slice of the pie. Google allows you 500 placement exclusions so you have some control, but interestingly, Google puts a cap on how much you limit the sites. Plus, you can only set account level exclusions. With so many restrictions, it’s like a parent that will let you sit in the driver seat with them and ‘drive’ by controlling the steering wheel when really, we know who’s controlling the steering wheel! 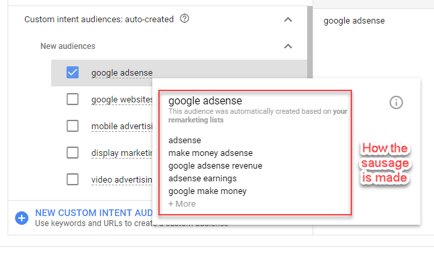 When you use any of the targeting methods mentioned, other than specific managed placements, Google will put you on automatic placements that loosely match up with your targeting parameters. What this means is that if you’re planning to use the Display Network to advertise, you can’t have as high of expectations with conversions as you do with the Search Network, and you really need to value and evaluate the non-click benefits of your campaign through analytics and website data tracking. Once you’ve harvested many high performing managed placement sites with your impressive Display Targeting skills, you’ll want to silo your placements to hyper target with focused ads, messaging, images, and landing pages – not unlike single keyword ad groups, or SKAGs, on the Search Network. Reporting and account structure – make running tests easy by naming your campaigns with testing variables in mind: offers, ad types, and targeting methods should be segmented appropriately. Make easy exclusions, like gaming apps and other placements that commonly result in accidental clicks. Gmail and YouTube are placements, too. Align your targeting and assets based on how users interact with these mediums. You can even target certain videos or channels with YouTube overlay advertisements. Just know your customer. Too many times, businesses cannot articulate their unique selling point (USP) or their buyer persona. Use Google Analytics and your entire team (the sales team can be particularly useful in identifying pain points of your user). Survey your most enthusiastic customers and offer incentives for their responses. There are tons of sites you can use like Qualaroo or even Google Forms, which is free. It will be totally worth it when you’re hyper focused on what your ideal customer wants because you got it straight from their mouths! If you’re an Ecommerce marketer, then your priorities will be different even just within your remarketing strategy. Knowing that a shopper has abandoned your shopping cart or viewed a certain product page without converting can be hugely valuable and an opportunity to pounce while your customer is warmed up. An entire blog article could be devoted to the ins and outs of dynamic remarketing and how you can boost PLA performance. Beware of ad creep! Set impression caps, don’t target converted users, set your remarketing windows properly. You don’t want to continue showing ads to a user that hasn’t been to your site in over a certain amount of days. Maybe they converted with a competitor. Don’t fatigue them with your ad to the point that they complain about you. Rotate your ads appropriately, which you should be doing anyway, to split test the best offers and image sizes. Display advertising can be cumbersome and ambiguous, but Google is making it easier everyday to target the top of your funnel. With the tools mentioned here, you are more than on your way to staying ahead of the competition!